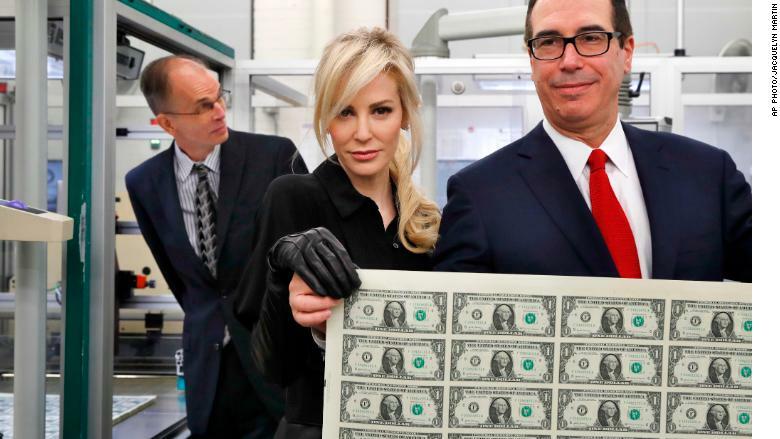 Louise Linton, the wife of Treasury Secretary Steven Mnuchin, looks thrilled that her husband's signature made it onto the dollar bill. Linton and Mnuchin posed with sheets of new $1 bills on Wednesday at the Bureau of Engraving and Printing in Washington, D.C. 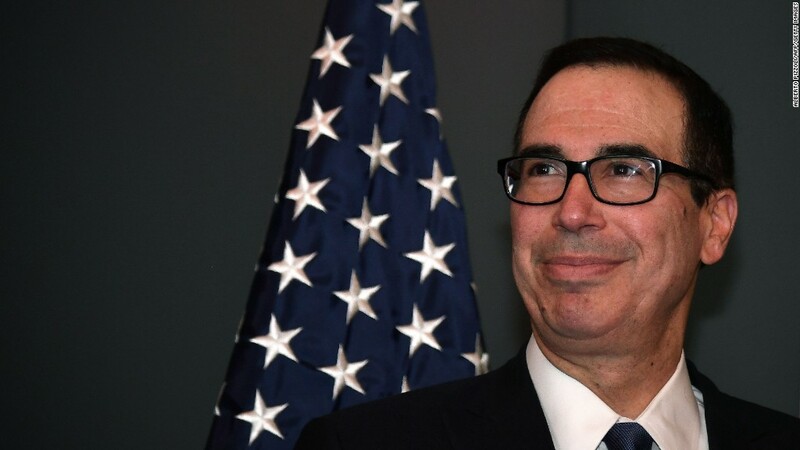 The notes are the first to feature Mnuchin's signature, along with that of U.S. Treasurer Jovita Carranza, and are expected to enter circulation in December. Linton was widely criticized earlier this year when she posted a photo on Instagram that showed her stepping off a government plane. She flaunted her designer wardrobe by tagging the designers she was wearing, then argued with a commenter who criticized her "getaway." The photo kicked off an investigation into Mnuchin's use of government planes. Linton and Mnuchin pose at the Bureau of Engraving and Printing. The Treasury Department's inspector general ultimately found no evidence of wrongdoing, but said the Trump administration had cut corners during the approval process for Mnuchin's trips. 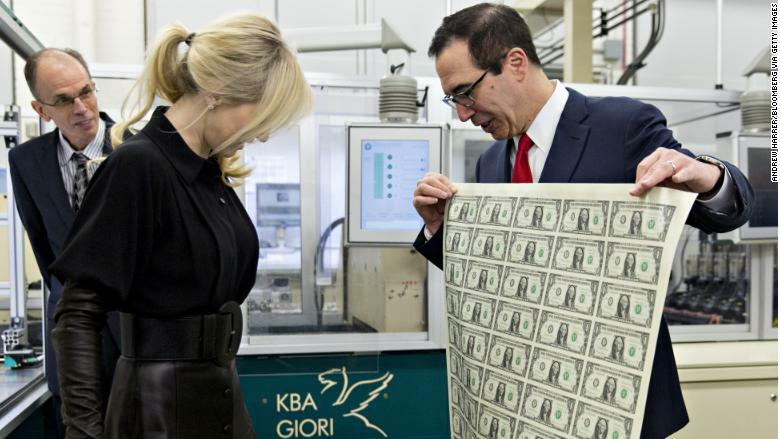 Linton and Mnuchin admire a sheet of $1 bills bearing the Treasury Secretary's name. On Wednesday, social media lit up with jokes about the wealthy couple's photo shoot. Before he joined the Trump team, Mnuchin worked in finance, with stints as a Goldman Sachs banker and Hollywood movie producer. Linton is an actress. The couple married over the summer, and they live in a D.C. mansion.